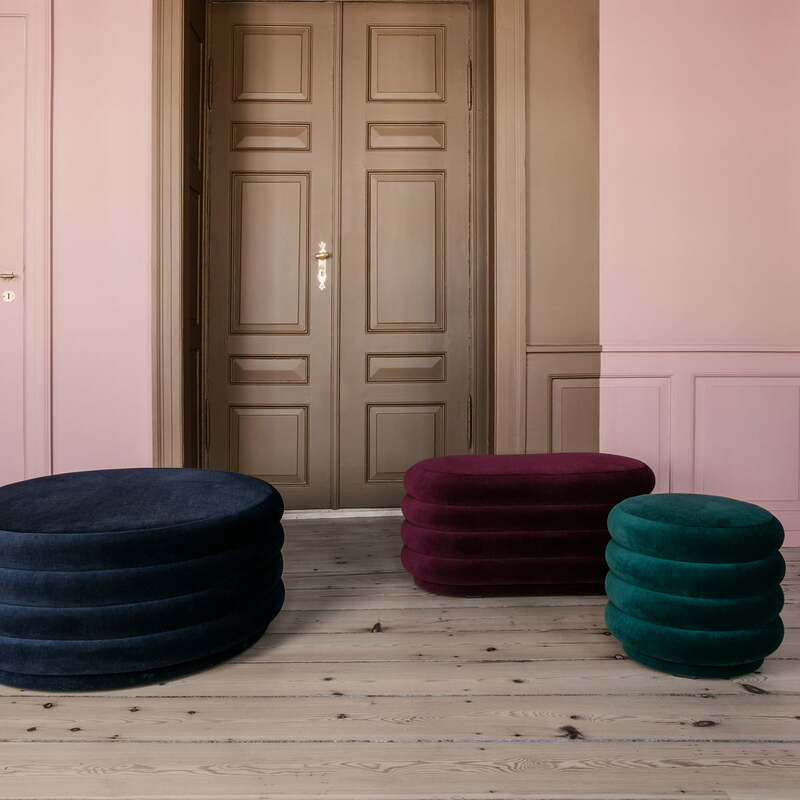 The ferm Living Pouf is not only characterised by its sophisticated shapes, but also by the combination of elegant fabrics with graphic elements. 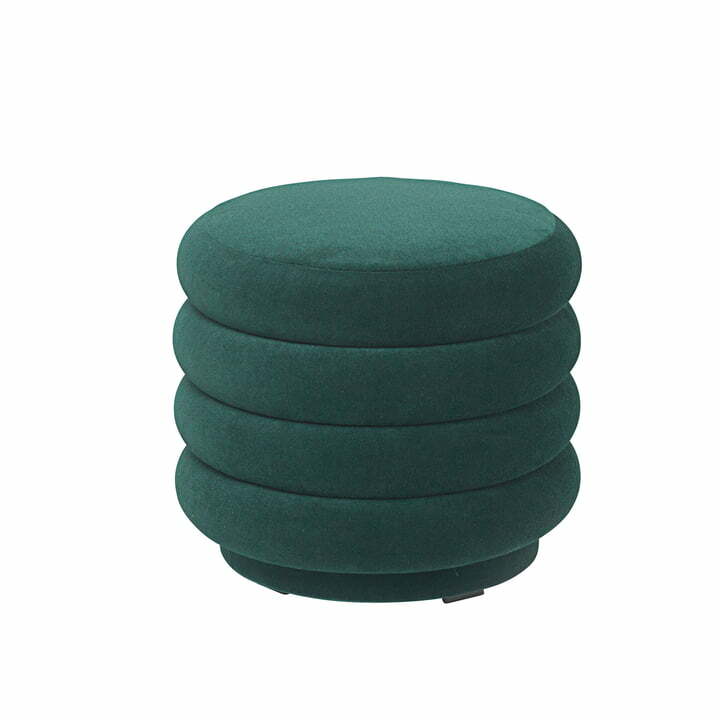 The stools are made of high quality velour, which guarantees an exclusive and long-lasting comfort. 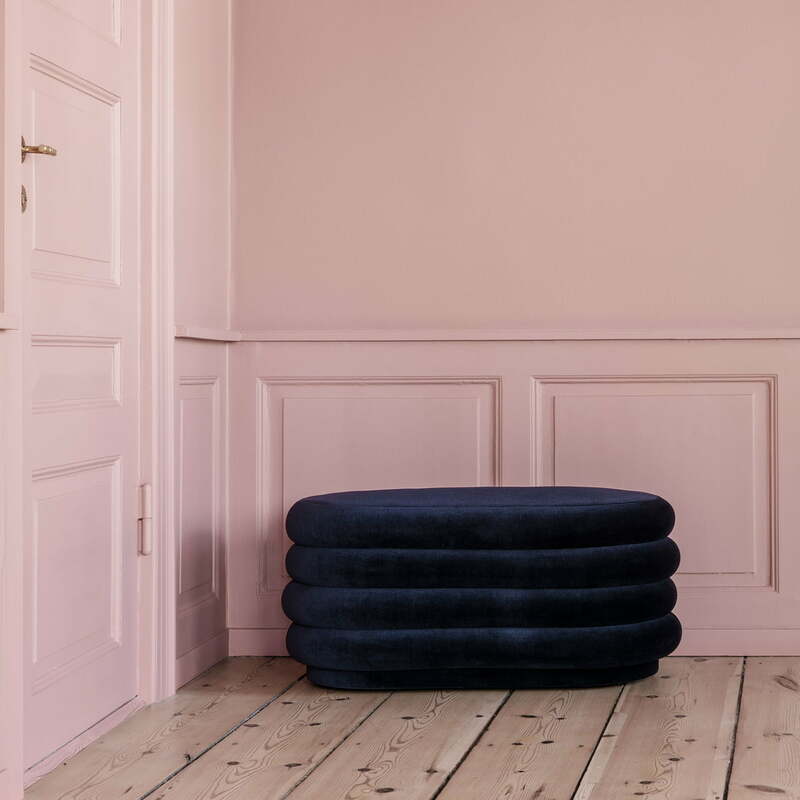 The pouf is available in three different shapes and various colours, making it a special statement piece that instantly adds classic elegance to your space. 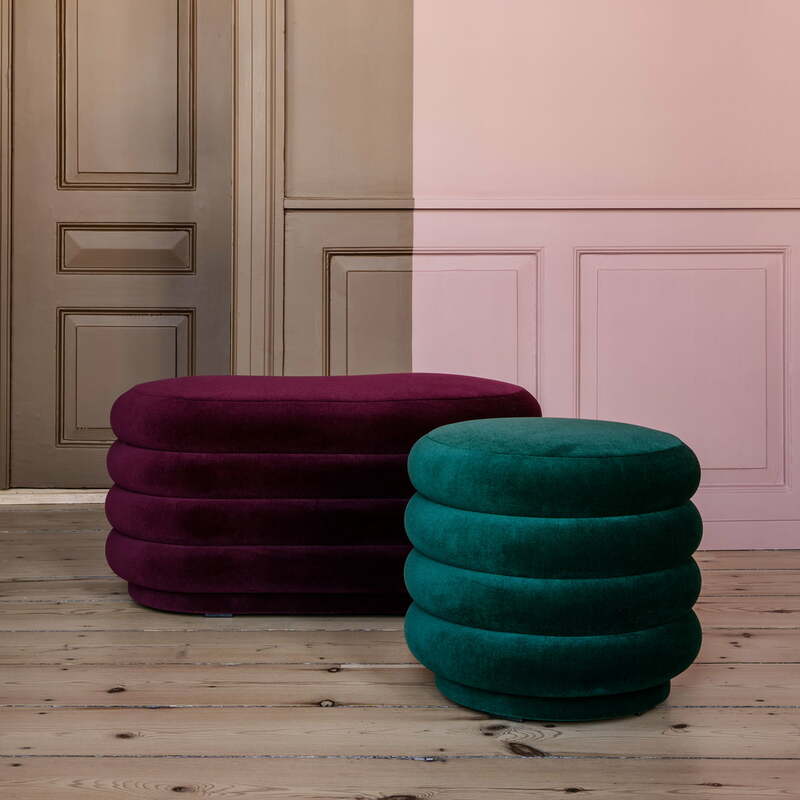 As a seat or as a stool, the versatile ferm Living pouf can easily be introduced into public and private environments thanks to its soft velour fabric. 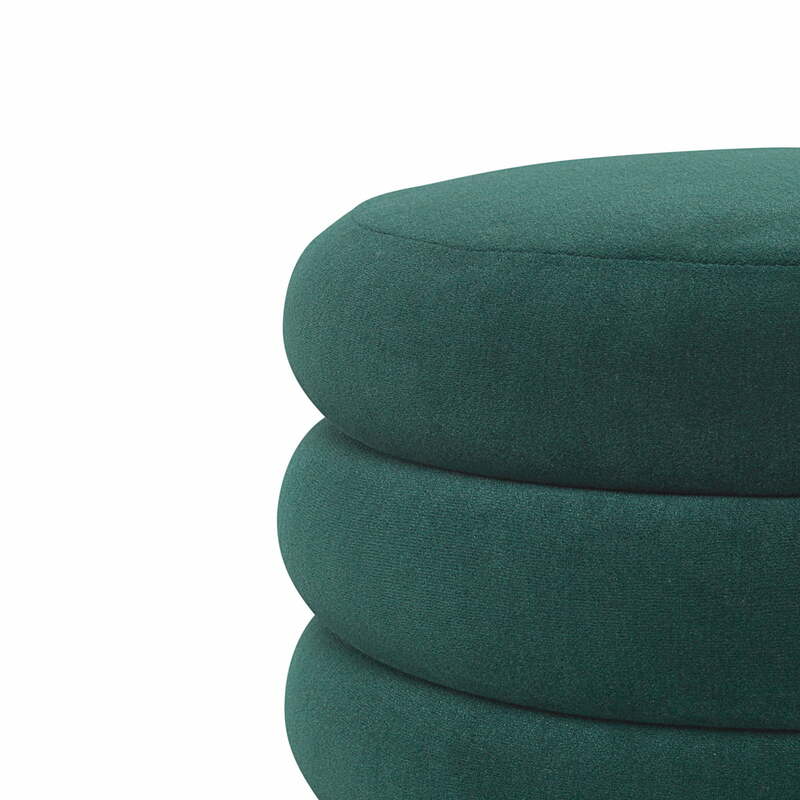 Isolated product image of the sophisticated circular pouf with a diameter of 42 cm and a height of 40 cm by ferm Living, shown here with a dark green velour cover. 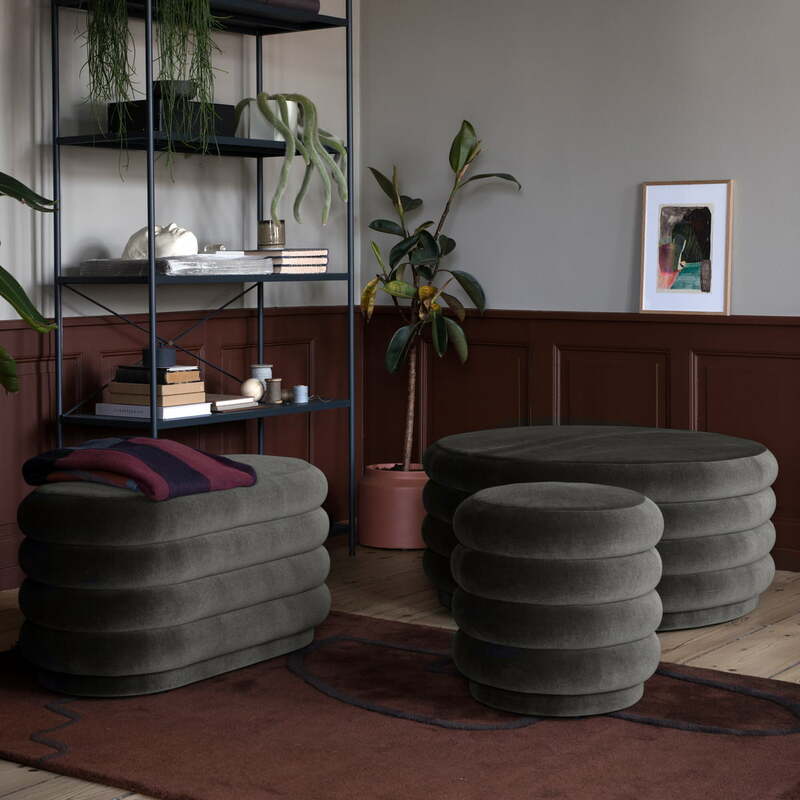 Lifestyle product image of the Pouf Velour by ferm Living in grey shown in various sizes and shapes. 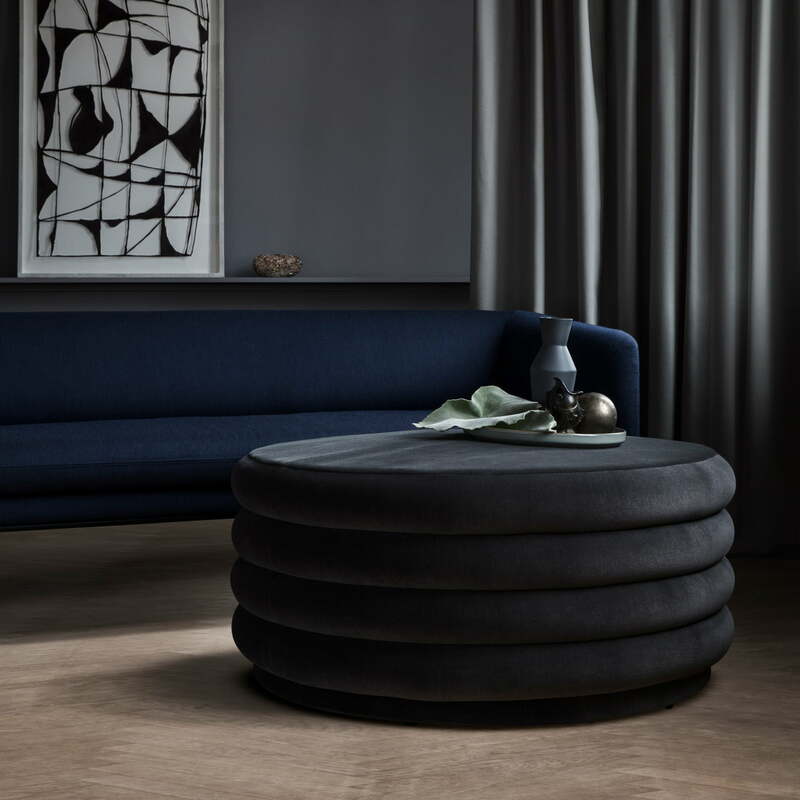 The Pouf featuring discreet grey velour upholstery is easily introduced into various interiors. 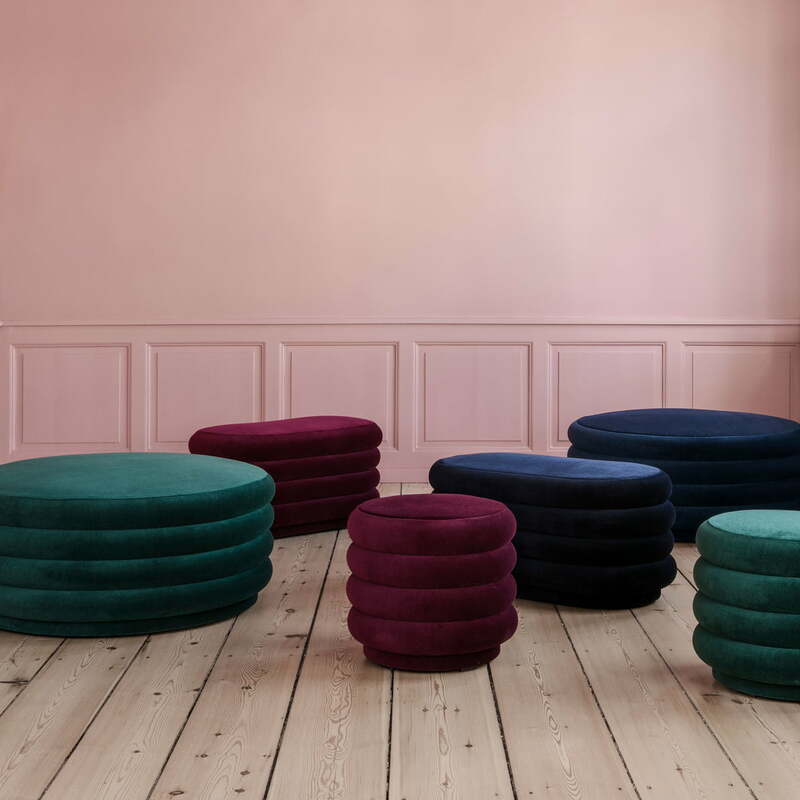 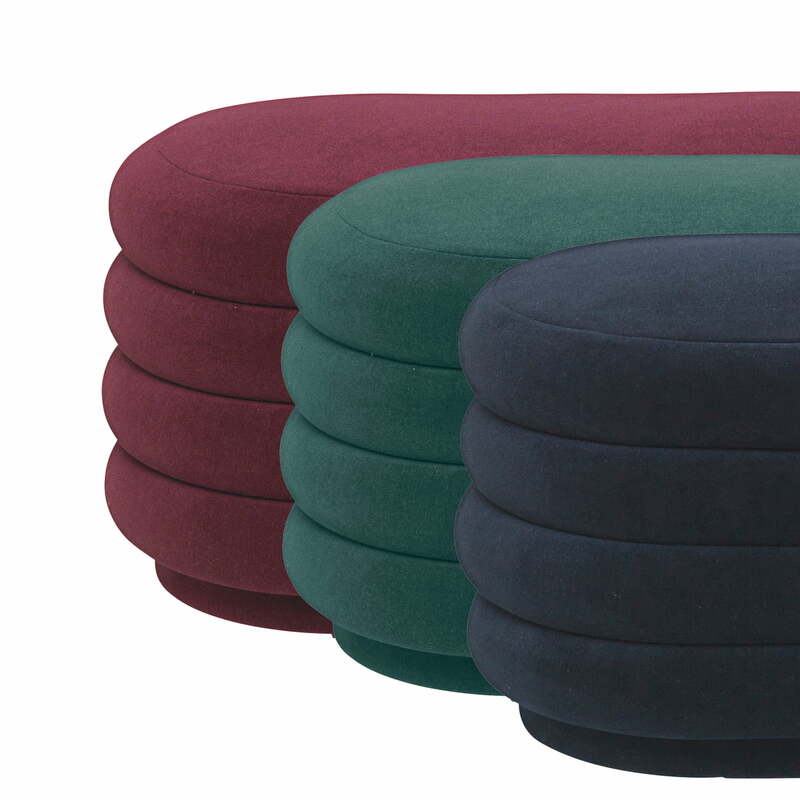 Lifestyle product image of the Pouf Velour by ferm Living. 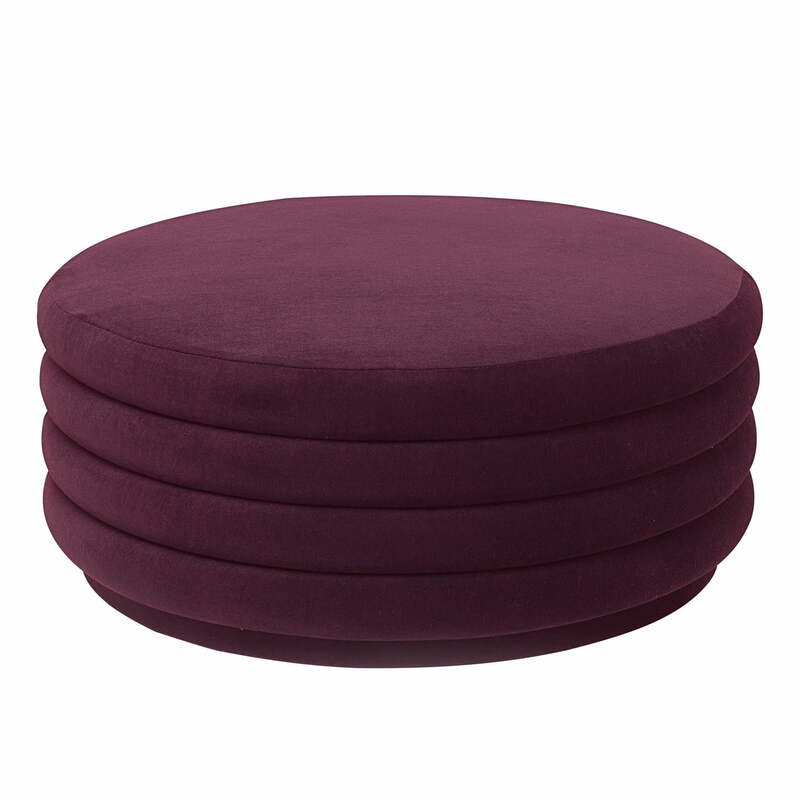 The round pouf is also perfectly suited as a side table in front of the sofa in the living room.